Conrad Koh Samui’s all-day dining restaurant, Zest, located at the centre of the resort overlooking the fabled-five islands in the Gulf of Thailand, introduces the latest local-produced menu during the Hilton Thailand’s food and beverage promotion. For the month of May and June 2018, the ‘Free-range chicken’ has been selected as the main local ingredient as it is offering higher protein content and a tastier chicken meat. 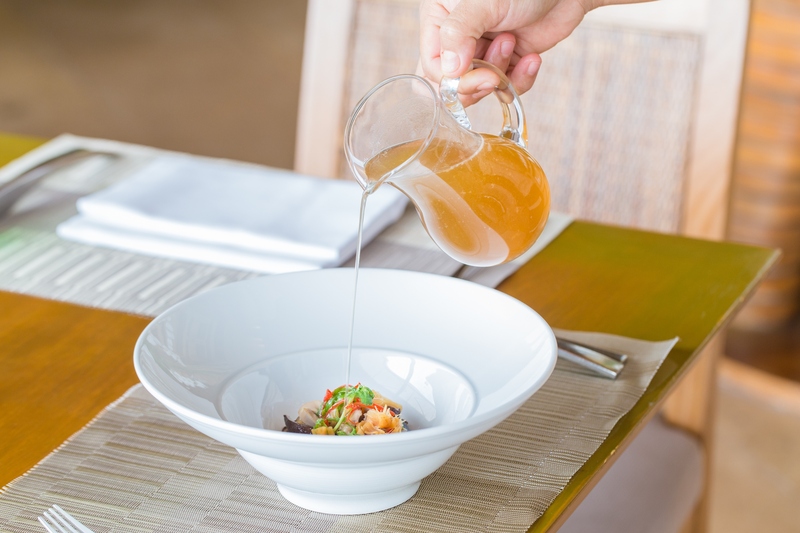 Guests and restaurant diners will enjoy delicious chicken dish as the culinary team at Zest restaurant creates the special menu; Double-boiled chicken soup with Shitake and dried scallops, priced at THB 390++ (subject to vats and service charge). During the promotion, Hilton Premium Club members can take advantage of dining benefits at participating restaurants. Upon presenting the membership card, diners will be entitled up to 50% discount on the total food bill (Terms and conditions apply). To learn more about or connect with Conrad Koh Samui, please visit www.conradkohsamui.com, call +66 77 915 888 or email conradkohsamui.reservations@conradhotels.com.